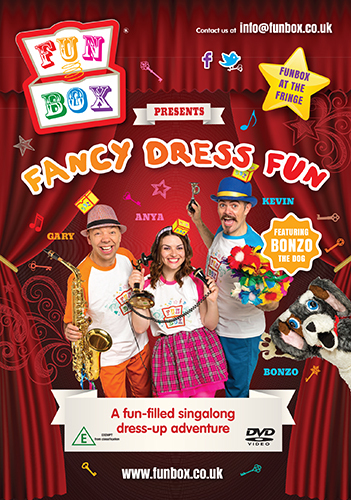 FUNBOX is the brand new family show from Anya Scott-Rodgers, Gary Coupland MBE, Kevin Macleod and Bonzo the Dog (formerly of The Singing Kettle). Formed in 2015 they have delighted and entertained children across Scotland and beyond with their own blend of songs and silliness with a distinctly Scottish flavour. Drawing upon their years of experience their new shows have been a huge success in it’s first year. The magical FUNBOX contains everything you need to sing a song or have an adventure, but it will only open if you use one of the special keys. Those keys have a habit of disappearing though. 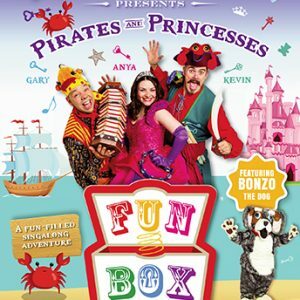 Can you help the Funbox gang to find those keys, unlock the box and release the fun? 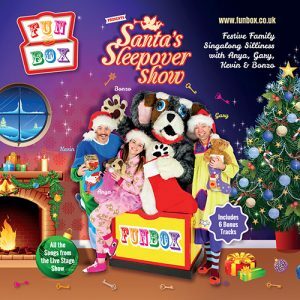 Fancy Dress Fun is Funbox’s second DVD and brings together family singalong favourites like “Ye Canny Shove Yer Granny’, ‘Ally Ally O’ and ‘My Maw’s A Millionaire’ alongside brand new songs to create a sparkling show for kids of all ages – from nought to ninety. 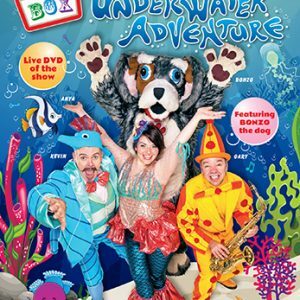 Anya, Gary and Kevin are joined by new friends Fluffy and Flossie the Funsters as well as their cheeky pal Bonzo the Dog. You’ll also meet some members of Kevin’s family too. 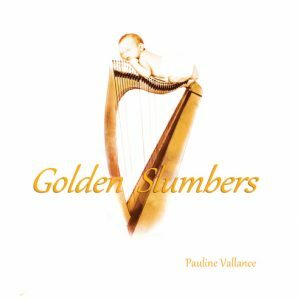 Filmed live at The Brunton, Musselburgh as part of Edinburgh’s Fringe in August 2015.